Introducing mindbodygreen’s Functional Nutrition Program: A First-Of-Its-Kind Learning Experience Taught By Acclaimed Instructors Mark Hyman, M.D., Frank Lipman, M.D., Kelly LeVeque, & More. Are you confused by the seemingly infinite theories on the best ways to eat and live for optimal wellness? Do you want to improve specific areas of your health, such as gut issues, inflammation, thyroid concerns, or food intolerances? Have you been prescribed endless, expensive medications that only offer temporary relief, rather than address the root cause of the issue? Are you tired of feeling like society is telling you to lose weight and look younger, but never how to feel better in your body and actually become healthier? Do you think there’s so much more to food than just providing sustenance? We created this unique, first-of-its-kind program based on the philosophy that food should be functional—that food is a pathway to optimal health and wellbeing, and is the medicine you need to fight inflammation, make skin glow, balance hormones, heal the gut, and so much more. By enrolling, you’ll have access to teachings by world-renowned functional health experts and practitioners, including Mark Hyman, M.D., Frank Lipman, M.D., Holistic Nutritionist Kelly Leveque, Vincent Pedre, M.D., Joel Kahn, M.D., Taz Bhatia, M.D., Amy Shah, M.D., Robin Berzin, M.D., Steven Gundry, M.D., Robert Rountree, M.D., and Will Cole D.C., who will show you how to implement this philosophy into your life, and equip you with the tools you need to achieve greater health and prosperity. You’re interested in health and nutrition, but not just popular diets. You believe that food is a pathway to greater health and wellbeing, and you want to learn how to use food to your benefit. You want to become more clear on what happens to your body when you eat that cookie, piece of fruit, or drink that alcoholic beverage, so that you can decide exactly how to fuel yourself. You’re curious about food intolerances, how they affect your physical and mental functioning, and how you can use an elimination diet to determine what isn’t working for you. You love the idea of using nutrition as a holistic means to greater quality of life, and you want to become well versed in its uses and values to society at large. How to heal the body through the power of food, so that you can feel rejuvenated and more alive than you ever thought possible. How you can improve your digestion, fight inflammation, get glowing skin, and sleep better, so you can take back control of your health, and ultimately, your life. How to use healthy cooking techniques to get the most nutritional value out of your food. Techniques to improve your gut health and heal its associated health issues. The ins and outs of today's most popular diets, and how to determine which may be best for you. How to eat to promote not only your health, but also the sustainability of the planet. Practices to help balance your hormones, slow the aging process, and heal your thyroid so you can achieve an optimal state of wellbeing. Lifestyle changes you can make to prevent disease and promote longevity. Over 160 video lessons and hours of video content taught by 7 of the biggest names in functional health today, such as Mark Hyman, M.D., Frank Lipman, M.D., Taz Bhatia, M.D., Kelly LeVeque, and more. An in-depth guide to everything you ever wanted to know about functional nutrition. Exclusive, self-paced content to deepen your functional nutrition knowledge, including an array of thorough study guides, writing assignments, quizzes, and so much more. The chance to give and receive feedback from fellow classmates on written reflections. Video Q&A with all instructors at various points throughout the program, so you can get your biggest functional nutrition-related questions answered directly by the experts! Live discussion boards to interact with your classmates. Dr. Frank Lipman's Be Well Health Coaches will even respond to select student questions! The mindbodygreen Functional Nutrition Guide certification (mbgFNG) upon completion of the program, signifying your deep knowledge and dedication to functional nutrition. Total access to these online, comprehensive lessons so that you can better your health anytime, anywhere, on your own time. Live discussion boards to interact with your classmates. Frank Lipman's Be Well Health Coaches will even respond to select student questions! Curious about what exactly will be covered in the program? Below you’ll find a complete outline of modules, video sessions, and course work. At our core, we believe in using food as medicine. We believe food should be functional, or as Hippocrates said, “let food be thy medicine, and thy medicine be food.” It should fight inflammation, make skin glow, balance hormones, heal the gut, and more. In this brief module, Kelly will dive a little deeper into this philosophy—the philosophy that food is a pathway to optimal health and wellbeing. Kelly explains the basics of building a healthy, organic, and sustainable kitchen at home. From sourcing high-quality and nutrient-dense ingredients, to understanding food labels, to stocking a healthy pantry and refrigerator, this module is a practical guide to clean shopping and clean eating at home. Aside from impacting our health, the choices we make when it come to the food we eat also directly affect the environment. In this module, Kelly will discuss some of the biggest issues in sustainability today, such as factory farming, GMOs, how you can make more informed decisions when it comes to what you eat, and many other ways you can help support the health of the world you live in. In this module, you will learn some healthy cooking techniques that will help you maximize the nutritional benefits of the ingredients you buy. From soaking and sprouting, to sauteing and roasting, to peeling and pitting, you’ll learn how to unlock the full potential of your healthy ingredients, and create delicious, nutritious meals. For many people, “diet” is a four-letter word—but that’s not the way it should or has to be. In this module, we won’t be focusing on trendy weight-loss diets. Instead, Kelly will discuss some of the most prevalent, functional, and all around healthy approaches to food and eating in health and wellness today. Unfortunately for many of us, certain foods (even some “healthy” ones) can have unwanted side effects when we consume them. In this module, you’ll discover what food intolerances look like, what science has to say about them, and then explains how to narrow in on the best foods for every person’s individual system through an elimination diet. In this immersive module, you will receive a series of comprehensive teachings on the most relevant topics in functional nutrition today, from some of the biggest names in the functional health space. This module covers everything from fighting inflammation, to improving your thyroid and gut health, to balancing hormones, to completing a proper detox. We leave no stone unturned when it comes to all of the amazing ways functional nutrition allows you to optimize your health, so get ready to really dive in. Inflammation: Taming & Repairing The Body's Defense System—Vincent Pedre, M.D. 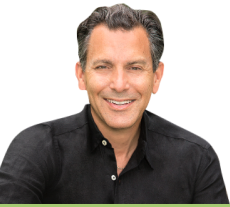 Gut Health: Healing The Gut To Enhance Overall Health—Vincent Pedre, M.D. Thyroid Health: Improving Thyroid Function To Increase Metabolism, Energy Levels & More—Taz Bhatia, M.D. Brain Health: Choosing Foods For Greater Mental Wellbeing—Mark Hyman, M.D. How The Endocannabinoid System Works & The Science Behind Hemp—Robert Rountree, M.D. 2: Meet Robert Rountree, M.D. Hormones: Detecting Imbalances & Resolving Them Through Nutrition—Amy Shah, M.D. Anti-Aging: Rolling Back The Clock & Enhancing Vitality—Taz Bhatia, M.D. Heart Health: Protecting A Vital Organ To Increase Wellness & Longevity—Joel Kahn, M.D. 4: Why Care About Heart Health? 5: When Should You Start Planning For A Healthy Heart? 9: Nitric Oxide: Why Does It Matter? Autoimmune Health: Eating To Support Your Immune System—Mark Hyman, M.D. Veganism: Consuming Plants To Reduce Disease, Promote Weight Loss & More—Joel Kahn, M.D. Supplements: Determining What You Need & Where To Find It—Taz Bhatia, M.D. 3: What Are Supplements & Why Use Them? The Plant Paradox: The Harmful Effects of Lectins & How You Can Restore Your Gut Health—Steven Gundry, M.D. 2: Meet Steven Gundry, M.D. 3: What Are Lectins & Why Should You Care? Detox: Cleaning Out The Toxins For A Rejuvenated Self—Frank Lipman, M.D. Disease Prevention: Avoiding Illness With Better Nutrition—Frank Lipman, M.D. The Secrets Of Longevity: How To Ensure The Best Possible Quality Of Life At An Old Age—Steven Gundry, M.D. How To Implement Functional Medicine & Nutrition In Your Every Day Life—Robin Berzin, M.D. 1: Meet Robin Berzin, M.D. Now that you’ve acquired a wealth of functional nutrition knowledge, it’s likely you’ll want to share what you’ve learned with those close to you to help them optimize their health. In your last module, Kelly will review how to best share what you’ve learned, and how to tackle common obstacles that can make people resistant to change. Gain an expert level of understanding as each one of our world-renowned instructors gives a detailed explanation of the theories and applications of functional food and nutrition. Downloadable guides that review key points from the lessons and prepare you for the quiz at the end of each module. This is also where you'll find materials to further enhance your knowledge. Take what you've learned from the video lessons and study materials and apply it to reflection questions that are applicable to the content in each module, as well as to your health. Take what you’ve learned from the video lessons and study materials and apply it to reflection questions that are applicable to the content in each module, as well as to your health. Upon completion, you will receive an official certificate of completion from mindbodygreen, exemplifying your curiosity, dedication, and newfound, in-depth understanding of functional food. Display it proudly. choice quiz that will reinforce your functional nutrition knowledge and make sure that you’re prepared to advance to the next module. Interactive discussion boards allow you to discuss what's on your mind with fellow students. Get your questions answered, while joining a community of other wellness enthusiasts. Your digital certificate and mbgFNG title can be displayed on your website, LinkedIn profile, social media platforms, and in your email signature and resume. Your new title will solidify your presence in the mindbodygreen family, giving you early access to our revitalize event, and giving you preferential status of mbg editorial submissions (after all, it signifies a deep wealth of nutrition nutrition knowledge, something we—and other publications—highly value in contributors!). Display this symbol of your knowledge and dedication proudly. Your digital certificate and mbgFNG title can be displayed on your website, LinkedIn profile, social media platforms, and in your email signature and resume. Your new title will solidify your presence in the mindbodygreen family, giving you early access to our revitalize event, and giving you preferential status of mbg editorial submissions (after all, it signifies a deep wealth of nutrition knowledge, something we—and other publications—highly value in contributors!). Display this symbol of your knowledge and dedication proudly. Celebrity Health Coach Based In L.A. Working with Kelly has changed my approach to food. This isn't a fad or a quick-fix diet plan-it's a way to eat that feeds your body so you look better and feel better. Founder & Medical Director Of The UltraWellness Center In Lenox, Massachusetts. I’m finally living a consistently healthy lifestyle that includes organic food, regular exercise, and supplements. The 10-day detox eliminated my cravings and compulsive eating pattern, and I look forward to reaching my ideal weight and strengthening my immune system. I feel happy and healthy and I’m confident that I will continue on this path. The structured support system created by Dr Hyman made this all possible! After years of suffering with a crippling illness and no answers from the medical community, other than more and more meds, I was lucky to meet Dr. Frank Lipman. From the moment we met, he gave me a sense of hope that I could feel better. Within six months, I was feeling dramatically better, and a year later, there were no more signs of what I had been told was an "incurable" disease. It’s been five years now and I feel better and better every day and I owe my health to Dr. Lipman!" Dr. Taz always took the time to not only answer all of my questions, but she also helped me understand how hormones, insulin, inflammation, and diet play a role in my health. Knowledge is power, and being able to take the fear factor out of the equation has been invaluable. I was lost at sea before I started studying nutrition and the concept of food-as-medicine with Dr. Kahn. I now am on course, at my optimal weight, have a clear mind, and have the skills to choose my food wisely for my body. Dr. Amy Shah was the perfect person to help me with my gut and inflammation issues! Her combination of scientific knowledge, nutrition, and ancient medicine expertise is exactly what I needed. I've never felt better thanks to her! Robin is a healer and a guide to a practical way to feel better and to look better. Her holistic approach is the anti-fad; it's thorough and easy to follow—the results are truly awesome! Dr. Gundry’s thirty years of experience in the field of medicine have made him an invaluable resource to people all over the world. His provocative strategies will help you achieve the sustainable, healthy, and vital life you deserve. For years, I struggled to find a way to feel balanced and healthy. Will Cole played a huge role in helping me find a way to reboot my system and make me feel strong again. I’m back to feeling empowered and in control of my body, and I know that is in part because of the way he guided me down the path towards daily optimal health. As an exclusive opportunity just for you, when you sign up today, you’ll receive an extra $200 off the advertised price! Don’t wait, sign up today! As soon as you enroll, you can immerse yourself in the fascinating world of functional nutrition. You’ll receive expert instruction from celebrity nutritionist Kelly LeVeque, alongside world-renowned doctors and experts in the field of functional medicine and nutrition such as Mark Hyman, M.D., Frank Lipman, M.D., and many more. You’ll learn how to heal the body through the power of food, so that you can feel rejuvenated and more alive than you ever thought possible. You’ll gain access to over 160 video lessons, as well as a series comprehensive guides to common ailments and their food-related solutions. You’ll discover lifestyle changes you can make to prevent disease and promote longevity. You can participate in live discussion boards where you can interact with and get feedback from your classmates, as well as Dr. Frank Lipman’s Be Well Health Coaches. You’ll receive $200 off of the regular price if you enroll today. You will be part of a one-of-a-kind functional nutritional learning experience that you can complete anytime, anywhere, that’s unlike any other program on the market. Are there any prerequisites to taking this program? Do I need to have any prior knowledge? Absolutely no prior knowledge is required or necessary for this program, but it's an added bonus if you have some prior knowledge/experience! Upon purchase of this program, you'll receive a master reading list, curated for both those new to nutrition and well-versed in functional medicine. Reading these books is totally optional, but highly recommended. Are there any additional materials required to take this training? In order to take this program, you'll need access to the internet via computer, tablet, or mobile device. While any internet browser will work, we recommend using Chrome, Firefox, or Safari for the most efficient user experience. Will I be certified to teach nutrition upon completion of this program? Upon completion of the training, students will receive a certificate of completion that exemplifies dedication to and comprehension of the nutrition program material. What can I call myself after I complete this program, e.g. nutritionist, health coach? Upon completion of the program, you will be awarded a digital certificate of completion and the title of mindbodygreen Functional Nutrition Guide (mbg FNG). This exemplifies your dedication and in-depth understanding of functional health and nutrition, and signifies to others that you have put in the effort and taken the time to dive deeper into this subject matter. Will I be able to speak to one of the instructors/all of the instructors about health issues I'm experiencing? Each instructor will be conducting live Q&A office hours, and we have outlined when these office hours will be held—you can find this schedule in your Student Dashboard. These live Q&A office hours should be used for questions pertaining to the program content only. Please note, any issues regarding your personal health should be directed towards your healthcare practitioner. These types of inquiries are out of mindbodygreen’s scope. Do I have to stick to a particular schedule or can I take the program at my own pace? You can take as much time as you like to complete this program, as it is entirely self-paced and you have lifetime access to all of the material. However, if you’d like to hold yourself to a practical timeframe, we recommend that you complete the training in 25 weeks. In the Program Syllabus, you will find a recommended amount of time to spent on each module. Can I use this program towards continuing education credits to earn my bachelor's/master's degree in nutrition? At the moment, there are no continuing education credits associated with the completion of this program. Is this program downloadable to listen to or watch offline? Unfortunately, no, you cannot listen, watch, or submit content without being connected to the Internet. You must be connected to the Internet in order to listen to or watch the content within the program, as well as to submit your reflections and quiz responses. MBG and its courses are not accredited or evaluated by any governmental, academic or other independent body. The completion of MBG's courses does not convey academic credit which will be recognized or transferable to academic educational institutions. Completion of a course or series of MBG courses and any certificate or other evidence thereof provided by MBG may not be recognized by third-parties, including employers, governmental bodies and educational institutions, as imparting upon the participant any particular qualification, skill-set or fitness to practice or perform any particular task or profession, and MBG makes no representations or warranties to that effect. Please view our full disclaimer here. Pay $399.75 today to reserve your spot in the class, and we'll automatically charge your card for each remaining payment upon the due date.